Here are the main benefits of overclocking graphics card. Better Performance – The main benefit you get from overclocking is the performance increase. Buy running the GPU (Graphics Processing Unit) and Memory at higher frequencies you can get up to 25% or more increase in performance. The amount of performance increase varies with graphics card because every graphics card has different levels of overclocking potential. 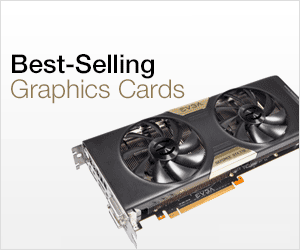 Some graphics cards can be overclocked to a greater extent while some are bad overclockers. Cost Effective – Overclocking can also save you money because you can get more performance from your current graphics card without having to buy a newer one. This is only helpful to a certain extent because eventually you have to buy a new graphics card for latest high-end games that supports only the newer graphics cards. Here are the various downsides of overclocking a graphics card. Voids Warranty – Overclocking does voids the graphics card warranty so any damage done to your graphics card during overclocking will not be covered under warranty. So it is better not to overclock your graphics card if it is under company warranty. Decreases GPU Lifespan – Overclocking may also decrease the lifespan of your GPU especially if you have increased its voltage. This is because overclocking do put stress on the GPU and therefore its life may get reduced than the normal. Here is a quick guide on graphics card overclocking. Here I am overclocking a nvidia GeForce graphics card but the procedure remains almost the same for AMD Radeon cards also. 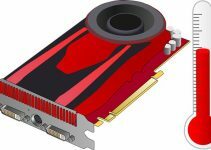 The only change will be the use of graphics card overclocking software for AMD Radeon cards is different. Step 1: The first thing to do is the install the latest video card drivers for your graphics card. 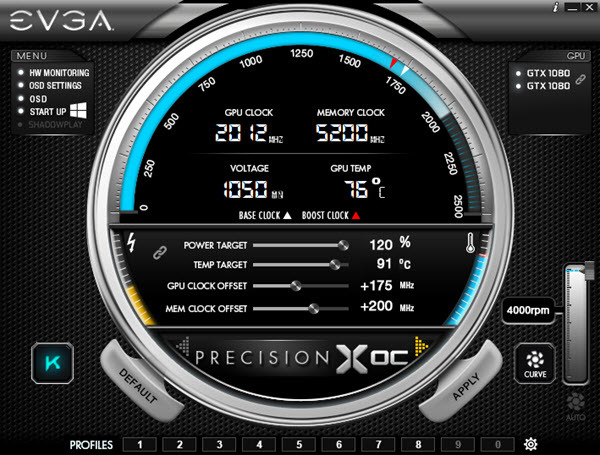 Step 2: Now download EVGA Precision software from the link given below. This is very good graphics card overclocking software for Nvidia GeForce Graphics cards. Install the software and run it. Step 3: Now increase the GPU clock or GPU Clock Offset by 5 MHz or 10 MHz and click on Apply. After that run some graphics intensive games such as Crysis 2, Fallout 4 and play them for 5 – 10 minutes. If everything looks good then again increase the GPU clock by 10 MHz and test it by playing a game. Keep on increasing the GPU clock in steps 10 MHz until your game crashes, freezes or the computer restarts. Lower the GPU clock to the previous safest level frequencies and this will be your sweet spot. For memory you can increase the memory clock in steps of 10MHz – 20MHz and test it by playing games. If you see yellow artifacts or spots on the screen when playing game then lower the clock to the previous good level. If you have found the safest overclock settings for both GPU and Memory then you can save them and check the Start Up option to apply the overclocked frequency settings automatically on startup. Note: You may increase the Power Target option if the card is throttling down or is unstable. Increasing the Power Target will allow the card to draw more power (TDP) from the PSU / Motherboard. At the end I would like to say that overlocking is an art and you can learn it only by experience. This is because every graphics card has different overclocking potential and finding the perfect sweet spot is very crucial for performance as well as the safety of your graphics card. 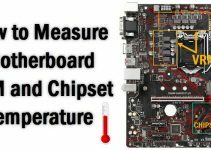 You also have to keep the temperature in check because you don’t want to fry your graphics card during overclocking. If you have any doubts regarding graphics card overclocking then you can ask me by leaving a comment below.